The versatile Evolution Hoodie is made from recycled coffee grounds and plastic bottles. The Coalatree Evolution Hoodie follows a rapidly rising trend of sustainable clothing. 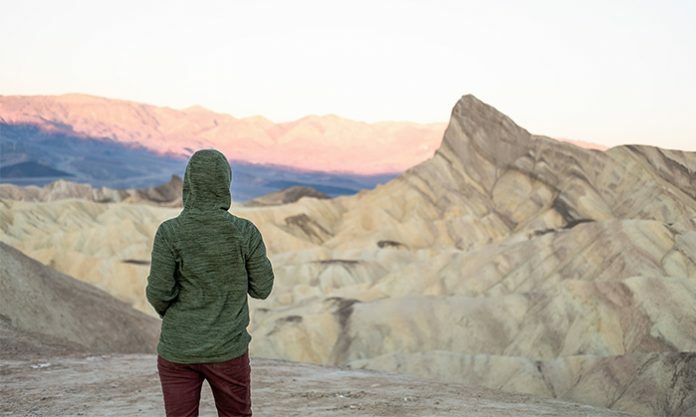 Made from recycled coffee grounds and plastic bottles, the hoodie is designed to be the most versatile, functional and comfortable piece of clothing out there. Importantly, the recycling of waste products ensures that our oceans and environments are kept clean. The hoodie is expertly designed to be the perfect companion during your travels and outdoor adventures. It comes with a wide range of features that makes it arguably the most versatile wearable you’ve ever come across. The Evolution Hoodie comes with a hidden zipper pouch that is big enough to house travel essentials such as your wallet, passport, mobile phone, and lots more. This gives you the freedom to enjoy your sightseeing adventures without worrying about the safety of your belongings. According to the manufacturers, the Evolution Hoodie features small, microscopic pores that help accelerate the drying process. This is achieved through an increase in surface area that facilitates the spread of moisture on the hoodie. It doesn’t matter if you’re washing your hoodie during the summer or winter, you can rest assured that your hoodie would be ready whenever you need it. The manufacturers leverage the natural odor absorption properties of coffee to produce a hoodie that helps you play hard while staying worry-free. What’s more? The coffee grounds are permanently embedded into the hoodie’s fabric. Thus, the odor-absorbing property remains permanent. The manufacturers claim that the Evolution Hoodie can trap thrice as much odor as a traditional hoodie. The Evolution Hoodie is currently at the crowdfunding stage. The Kickstarter campaign has been a huge hit, generating more than 700% of its target. You can make your own pledge and pre-order your hoodie. The campaign will end on the 18th of April.